The dust is now settling on the first weekend of the 2014 Six Nations but already there are more questions than answers on the minds of rugby fans across Europe. Prior to the first round of games there were four teams fancied to win the tournament and that remains the case after a hugely competitive weekend of matches. France were perhaps the big winners as they came from behind in the last few minutes to beat England in Paris, while Ireland and Wales were the other winners although neither looked particularly impressive. The match at the Stade De France was a Six Nations classic with England and France trading blows for 80 minutes before the home team finally came out on top to win the match 26-24. England had recovered from going 16-3 down in the early stages to lead mid-way through the second half but once again Stuart Lancaster’s men lacked the experience to secure the all-important win. England looked solid as a rock in the pack but as they have shown on a number of occasions in recent years, they struggled to see the game out when it really mattered. France will now play host to Italy at the weekend which is a match they should win comfortably which puts them right in the mix for Six Nations glory. England showed enough potential to suggest that they are still in the mix too but they will need to beat Scotland on Saturday. After that, England do have home advantage against Ireland and Wales which does ensure that they are still live contenders for the Championship, despite that defeat in Paris on Saturday evening. 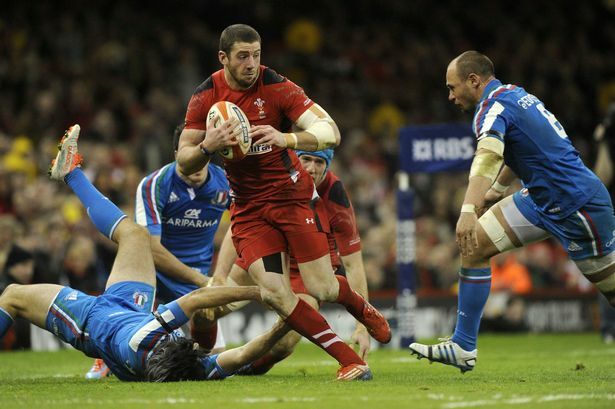 Wales got off to a winning start in Cardiff at the weekend as they overcome a stubborn Italian side to get the defence of their title off to a positive start. It was a far from impressive performance from the Welsh though as they looked sluggish for large parts of the game before finally coming through for the win. We will learn much more about their form when they face off against Ireland this weekend with both sides coming into this massive clash off of the back of a win. The Irish gave a decent performance against Scotland to win their first game but they will know more than anyone that an away tie in Cardiff is as hard as it gets when it comes to Six Nations Rugby. Scotland put up a decent show in the first half of their defeat in Dublin but ultimately they were unable to match the home team on Sunday afternoon. The Scots now have a crunch match against England at Murrayfield with both sides losing last weekend and both knowing that it is win or bust for their hopes of having a successful Championship. England would have to start that match as the hot favourites given the way they performed in France but Scotland will be better at home and as they have proven countless times over the years, they always seem to raise their game against England. The only certainty at this stage of the tournament is that there is no certainty about the likely winner, with more than enough doubts surrounding each of the Six Nations after the first weekend. The four at the head of the betting are likely to fight it out for the title with France and Wales currently battling for favouritism at 15/8 with Bet365. Ireland are always dangerous but they have trips to Wales, England and France ahead of them, while England are on the drift after their defeat in Paris but their remaining fixtures do look favourable which has to give them a real chance. There is no doubt that we have some thrilling matches to look forward to over the next few weeks starting with Scotland v England and Wales v Ireland this weekend.